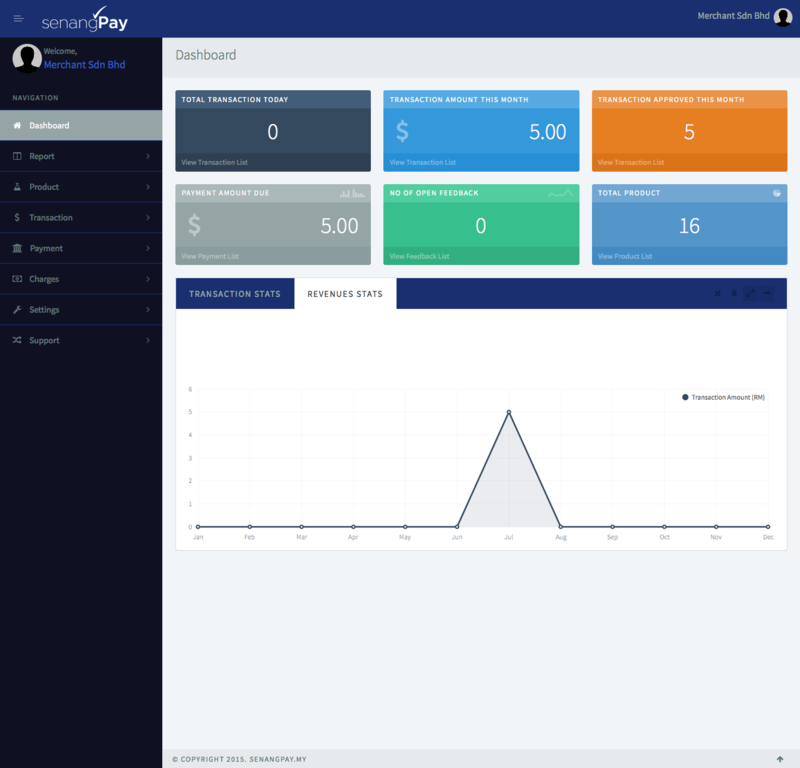 senangPay Dashboard are designed to be as simple and effective as it could be. The dashboard are designed and divided into three parts. Below are the menu for the Dashboard. 1. To reveal submenu, simply click on the menu link. 2. Next, to understand each menu, click on every list below.